There are a handful of races that I always run every year. And the Back on My Feet 5 Miler is one of them. You may have heard of Back on My Feet before. They are an organization that helps rehabilitate the homeless through running. What they are doing is awesome, so if me running this race supports them than I am all for it. At the same time the race has a very strong social media presence. I don’t know why this matters to me, but I am learning that when a race is active on social media than I am that much more inclined to run it. I think it’s because it allows me to connect with other runners. Whatever it may be, it matters to me. 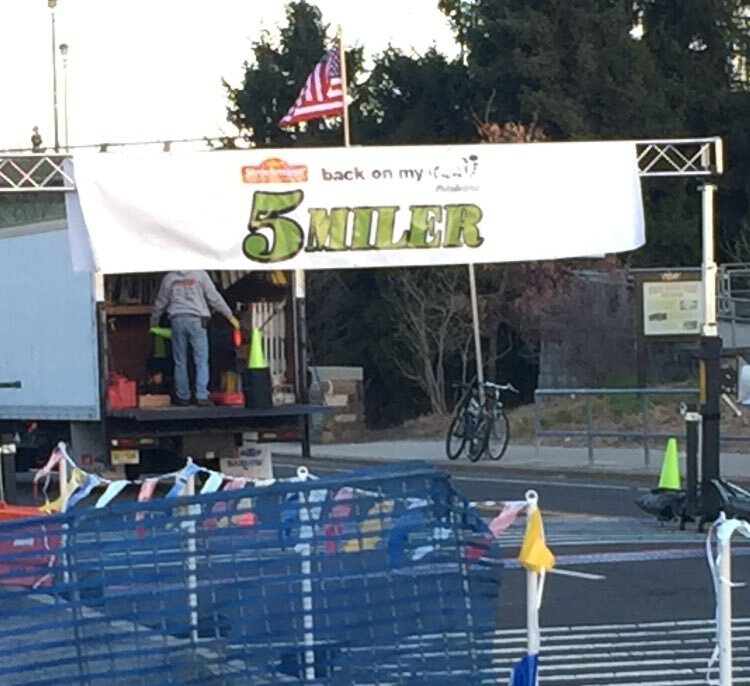 The 2016 BoMF 5 Miler lived up to expectations just as much as 2015 did. The race itself is run on the same main course that most Philly races are run. So it is hard to describe a course that I have run hundreds of times before. However there is one part of this standard Philly course that can differ from race to race. And it’s a BIG difference. I refer to it is as the Sweet Briar Hill. I think it got an unofficial name last year. But if you run in Philly you know the hill I’m talking about. Not every race runs up this hill. So if you find yourself at one of those races, consider yourself lucky. I don’t know the specific elevation of this hill, but it’s steep as hell. I try and pride myself in running up the whole thing. At the BoMF 5 Miler I think I ran 80% of it. So I was happy I got that far for only my second race of the year. Overall the race was enjoyable. There was that tough hill, but I ended at a time that was 2 minutes faster than my previous months 5 mile race and only 2 minutes off my 5 Mile PR. The extra curriculars at the race were even more fun in 2016. BoMF does a really good job at making the event like a party. They had a food truck, the local soccer team had games set up and other vendors had stands as well. So if you were a spectator or wanted to hang out post race, there was plenty to do. ← Win a FREE Broad Street Run Bib Through NBC!